a particular agenda in mind, just to hang out together. Käfele is a simple yet powerful offline way to meet and learn from our human diversity and connect to our local ecosystem through meaningful conversations and coffees. Like doing sports where we practice a discipline, doing Käfele is literally about practicing human connection. 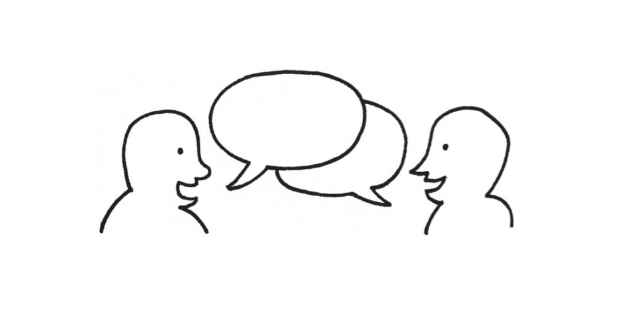 Käfele is an invitation to consider the potential that lies in having [simple] meaningful conversation, in a way that allows us to be the humans we are beyond our titles [and expectations]. It is an invitation to harvest the learning that comes from asking sincere questions to someone who holds a different world view. Every month or so, usually in the evening from around 6.30 PM onwards, we open up our home and our garden to make room and space for a Käfele. Everyone, old and young, black and white, busy and lazy, who are curious, willing and able to do Käfele are warmly invited to come. HOW TO DO A KÄFELE? 1. Create a space that feels like home. 2. Make sure there is coffee and snacks made with love. 3. Do your best to relax, chill and make people feel welcome as they arrive. have them join your 'WELCOME team' to GREET others too. WE CALL THIS 'WELCOME POWER'. 4. Make a warm collective introduction and tell your guests why this experience is something special to you and why you want to host a Käfele tonight. Instead of having a collective introduction you can also invite people in and start THIS Käfele fluIDLY IN THE PACE OF YOUR GUESTS ARRIVAL. 5. If you choose the collective introduction, then follow up by explaining to people how it will work [otherwise do that bilaterally]. They are now going to make pairs, by choosing someone they do not know and are curious to get to know [or precisely would never think of talking to normally]. Next step is to start a conversation with this person, letting the help of the Who Cards or the recipes take you deep [LINK TO WHO CARD download below]. 6. Pairs are made, and Käfele starts. 7. After a 30 min to 1-hour of free talking you call the Käfele pairs together, make a circle and suggest people to share what they HAVE learned about themselves or what they learned in general through this sharing. Here you can find some powerful questions we have used in various conversations to help us understand who we really are. Wether you are a facilitator, a family member, a friend, a neighbour or just curious, we invite you to try out these WHO CARDS. Explore with them how reaching a deeper level and quality in conversations has the power to transform things around [and within] you. Our shared future depends on where we take this story through conversations and new stories. In short, we believe in the power of creating more opportunities for having a meaningful coffee with a stranger [or friend]. Be dazzled by what happens next. Try one of our recipes and change the world, one coffee at a time.